But according to Marie-Christine Bernard, associate director of provincial economic trends at the Conference Board of Canada, the country is seeing just modest growth in the trade sector, which should pick up in the second half of this year, even with some unknowns in the United States, she says, pointing to the large deficit and other fiscal measures that are being considered or implemented. “But with the stronger U.S. economy we are thinking there will be a bit more stability in the global economy as well,” Bernard says. “So that should help in terms of business confidence. Bernard says there will be less government restraint by 2014, with some provinces running surpluses. As domestic markets tighten, Canada’s exports with other countries other than the United States has become a higher priority in a country, that, like many others, are coming out of a recession with a prudent eye on their economic future. Canada is looking to stretch the reach of its global economy, with the development of more international trade and investment, another step in the five-year global commerce strategy begun in 2007, says Ed Fast, minister of International Trade and minister of the Asia-Pacific Gateway since his appointment in May, 2011. “In the next month or so, I will be releasing a refreshed strategy which will be asking questions about what markets around the world matter to Canada and why,” he says. The Asia-Pacific Gateway and Corridor Initiative, one of three gateway projects created under the National Policy Framework for Strategic Gateways and Trade Corridors, is an integrated set of investment and policy measures focused on trade with the Asia-Pacific region to establish Canada’s Asia-Pacific Gateway and Corridor as the best transportation network facilitating global supply chains between North America and Asia. But beyond trade deals with Asia-Pacific partners Japan, China and Hong Kong, Canada is also looking at deepening their trade relationships with Kuwait, Saudi Arabia, Africa, and such like-minded and trusted South American countries as Colombia, Peru, Chile, and eventually Brazil where trade agreements are a little more complicated, Fast says. “We are actually quite active on the African continent negotiating bilateral investments there,” Fast says, where Canadian companies on that continent are involved in oil and gas exploration, plus infrastructure development. He says that the country has about 1,000 skilled trade professionals in 150 offices around the world right now who can provide on-the-ground intelligence on the legal environment, regulatory environments and businesses practices of a specific market that help Canadian businesses improve their prospect of success and act as troubleshooters when they run into problems in new foreign markets. As reported by the Organisation for Economic Co-operation and Development, Canada’s total government net debt-to-GDP ratio stood at 33.3 percent in 2011. This is the lowest level among Group of Seven countries. Twenty percent of the North American automobile manufacturing industry is in Canada. The largest city in Canada is Toronto followed by Montreal, Vancouver, Ottawa-Hull, and Edmonton; 76.6 percent of Canadians live in cities and towns, while 23.4 percent live in rural areas. Fast says that the products that Canada has that the world wants begin with the country’s resource sector, with products such as oil and gas as a high priority to other countries. There is also a great demand in China for potash to make fertilizer, along with wood and forestry products. 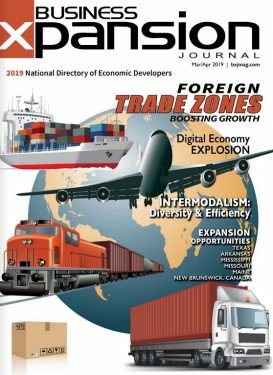 “British Columbia has seen exports of wood products to China go somewhere in the order of $100 million a year to $1.3 billion a year,” Fast says. He cites Canadian Potash Corp. of Saskatchewan Inc., located in one of the richest potash mining belts in the world with offices in Hong Kong, as one of the leading companies in potash production targeting the international market. The largest manufacturing sector is the auto industry, Fast says, where the relationship between Canada and the United States is “second to none.” According to figures from government industry reports, there are five major vehicle assembly plants in the country, all in Ontario: Chrysler Canada (Brampton and Windsor); Ford Canada (Oakville); General Motors Canada (two plants in Oshawa); Honda of Canada Manufacturing, Inc. (two plants in Alliston); Toyota Canada (Cambridge and Woodstock). One of the top four aerospace companies, Bombardier Inc. Aerospace Transportation, with operations in Quebec, Alberta, British Columbia, Ontario and Saskatchewan, is just on the cusp of rolling out its C series of aircraft, a medium-range narrow-bodied family of aircraft that will likely be the most environmentally sustainable aircraft in the world, Fast says. “It is one of our flagship companies,” he says. Fast says Magna International, Inc., a large auto parts manufacturer in Aurora, Ont., has a manufacturing presence all over the world, with product development, engineering and sales centers in 29 countries. Many Canadian companies feed into the Magna supply chain. Throughout Canada’s 13 provinces and territories, there are 98 universities to choose from, including six universities in Alberta, eleven public colleges, two polytechnic institutes (which grant degrees), and seven private colleges (all of which grant degrees); eleven public universities and four private universities in British Columbia; seven universities in Manitoba; eight chartered universities in New Brunswick; 17 universities in Quebec; and 23 publicly funded universities plus 17 privately funded, religious universities in Ontario. Canada has a number of advantages for the realization of their Asia-Pacific Gateway, including Port Metro Vancouver, which trades $172 billion in goods with more than 160 trading economies each year. He says that the country has invested in road infrastructure, and in the development of ports as well, including inland ports. One example is the Prince Rupert Port Authority’s Ridley Island road, rail utility corridor project in British Columbia announced in March. The corridor will be a shared piece of infrastructure, which will enable the construction of new terminals on Ridley Island. The $90 million project represents investments from the governments of Canada and British Columbia, Canadian National Railway and Prince Rupert Port Authority. A popular sport and pastime in Canada is white water rafting, with a half dozen businesses in British Columbia that include operations on the Peace River, Fraser River and the Columbia River. One popular spot is the Kootenay River Runners, offering class 2 and 3 whitewater adventures through the Rocky Mountains. Canada has one of the world’s highest living standards, with free access to health care. Most people over 65 receive their prescriptions for free. The country also has an extensive social safety network with old age pensions, family allowance, unemployment insurance and welfare. Along with popular sports such as hockey, Canadians enjoy extensive opportunities for cross-country skiing, hiking, fishing and other outdoor amenities. As this consumer-friendly economic partner of the United States continues to carefully reshape itself, Fast says that the country will be working very closely with the European Union to conclude negotiations on a comprehensive trade agreement that he says will be the “21st century gold standard agreement” once signed. Details of the agreement are still being worked out, but there will be broad tariff elimination immediately. Fast’s office is also working to eliminate non-tariff barriers — the kind of barriers that are often used artificially to protect economies. “So I expect that this agreement, once it is signed off on, will really be a model for the world to follow,” Fast says. 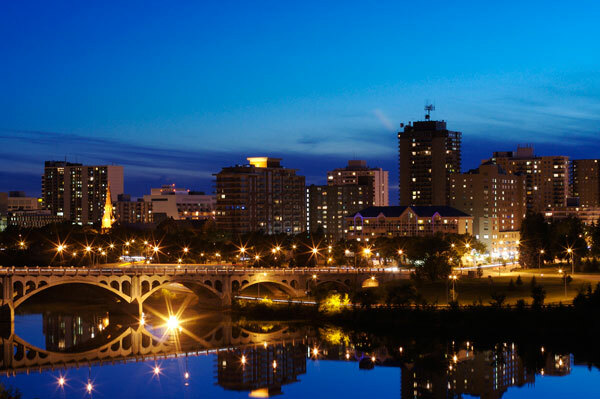 In Saskatoon, the overall philosophy of city leaders is to be both business and people friendly. “At the end of the day we are building a community,” says Tim LeClair, president, Saskatoon Regional Economic Development Authority. Saskatoon’s population is expected to grow by 2.7 percent this year, which is a fairly large number for any city to deal with. “For a small city like us, I think it is manageable and it has its challenges,” LeClair notes. LeClair says more than $90 billion in public and private sector planned projects will be implemented during the next nine years. Among the thriving industries in the Saskatoon region are potash and uranium mining production, which are behind the growth spurts in the manufacturing and professional services industries; and a strong food industry, where R&D into production and safety, among other areas, has created $2.7 billion in research assets in Saskatoon, LeClair says. “It speaks very clearly that business expansions of existing industries is happening and it has created a huge demand for companies coming in from outside of our jurisdiction, looking at all of these opportunities and seeing how they can get involved in the growth story that is Saskatoon,” LeClair says. 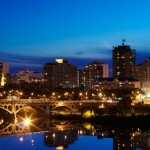 To learn more, visit www.sreda.com and www.livingsaskatoon.com. 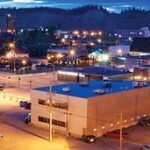 Prince George is one of the fastest growing regions in Canada, and has one of the lowest unemployment rates in the country. The community is the supply, service, education, health care and cultural center for a trading area comprised of 350,000 people in the heart of $70 billion worth of resource and resource related projects, planned and underway. The projects range from mining, oil and gas, LNG, forestry, and the addition of the hydro power required to fuel this activity. What’s more, in the last five years, professional services employment in the city has increased by nearly 20 percent. In addition to housing developments, businesses will be interested to learn Boundary Road will be complete this fall, which will be anchored by two new industrial parks. The $28 million road, funded by the city, provincial and federal governments, as well as a private partner, connects to highways 97 and 16, which are adjacent to the Prince George Airport, Oland says. The two business parks will support light industrial operations, and warehouse and distribution operations that require access to the airport and CN’s rail infrastructure. The Prince George Airport is home to a new cargo fuel and tech stop. Airport officials are beginning a warehouse project to take advantage of the cargo fuel opportunity at the airport. For complete details, visit www.initiativespg.com. In a reversal of workforce flow patterns, where there has traditionally been an exodus of eastern Canadians moving west in the country to find work in the oil and gas sector and other industries, Miramichi is welcoming people from all over the country to their community in eastern Canada. “This is one of the first times in our history that we see an influx of people coming into our community from those other centers at the same time,” says Jeffrey MacTavish, director of economic development, city of Miramichi. Behind the movement is the decision by the government of Canada’s selection of Miramichi as the location for the consolidation of its payroll services operation, a move that will create 550 new jobs. This month, the operation is scheduled to bring 350 of those employees online. Up next, the government will construct a new facility and hire the remaining 200 staff members. The project is also expected to support 550 indirect jobs in Miramichi, MacTavish says. The government saw in Miramichi a community skilled in customer service positions. The community is home to the Royal Canadian Mounted Police gun registry, which collects and processes data. “This project not only saves the government of Canada millions of dollars over the life of the 25-year project, but it also helps diversify our community and get us away from reliance on natural resources such as forestry and mining, which were both in decline due to overseas competition,” MacTavish says. The community also has a cluster of aerospace and defense firms, and a niche in animation and gaming in the ITC sector, home to the only community college in New Brunswick that offers training in gaming through its applied arts program. “A proposal has just been funded by the province and the city to develop incubation space to help students graduating move into full-time work or full-time entrepreneurship,” MacTavish says. For complete details, visit www.miramichi.ca.